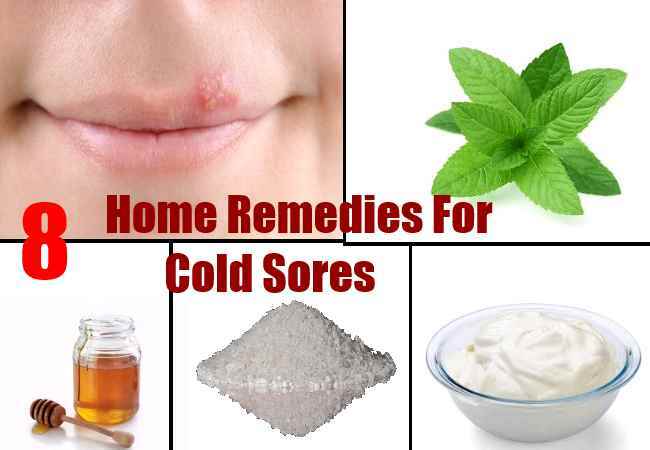 Cold sores are painful and embarrassing caused by herpes. They usually appear as blisters filled with fluid beneath the surface of the skin around the mouth or on the lips. They often break open, ooze and crust over, sometimes lasting up to 10 days at a time. Some of those days could be brutal; however, you can find comfort in some of the natural treatment and home remedies we would discuss in this article. More than 90 percent of adults all over the world test positive for the virus that causes most cold cores. While most of these people may never show symptoms of carrying the virus, some others will suffer recurrent breakout. Most folks are deeply confused about the different between a cold sore and a canker sore. But the confusion is easily addressed. Cold sores, also called fever blisters are caused by Herpes simplex virus of the type 1 form which is usually acquired early in life through contact with infected saliva. This virus is believed to lie dormant in some nerve cells of the body until activated by anxiety, stress, and excessive exposure to the sun or a cold. While all this are unavoidable, there are some measures you can take shorten the length of the outbreak or calm it down. Lysine is a natural amino acid. It is available in a cream or supplement form. Several studies have shown that consistent intake of lysine supplement or cream can guide against outbreak and prevent future flare-ups. The intensity of outbreaks can also be minimized with the intake of lysine according to some experts. A member of the mint family, lemon balm has the potential of reducing healing and recovering time while preventing subsequent outbreaks. Some other experts have suggested using a lip balm with some content of lemon balm in it. Also, a compress made of lemon balm infusion may provide a similar benefit as an alternative. Stress control or reduction is one of the most effective ways of preventing cold sore as it has been determined that stress and anxiety are the most common condition that triggers the herpes virus to come out of dormancy. Regular exercise, meditation, and yoga can play a big role in helping you cope with stress and anxiety. While information regarding the effect of Aloe Vera on cold sore is limited, several studies have found that applying the gel topically can help in healing the lesions of genital herpes. Aloe Vera gel is commonly available and can be grown at home. While applying ice on a cold sore may not play any part in reducing the duration of a breakout, it is obviously very useful in easing the discomfort and inflammation associated with it. You can apply a cold pack directly on the sore for a temporary relief. Studies have shown that applying the cream to the affected area can significantly reduce symptoms like itching, blistering, and soreness. It can also shorten the duration of the breakout if applied with 24 hours of symptoms appearing. Zinc Oxide is readily available at most drug stores and can also be found in some sunscreen creams. Ultimately, living a healthy lifestyle while significantly reducing stress and anxiety can significantly reduce the likelihood of future cold sore breakout and the embarrassment and pain that comes with it.